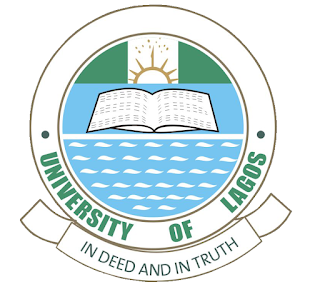 University of Lagos, UNILAG Re-Scheduled Time-Table and Guidelines for Elections into Executive Positions in All Faculties and Departments for 2018/2019 Academic Session. The following guidelines are hereby issued for the conduct of elections into various executive positions in the Faculty/Department Students’ Associations for the 2018/2019 Academic Session. 1. The Sub-Dean/Staff Adviser shall set up Electoral Committee for the conduct of election into the executive positions of the Faculty/Departments. The membership of the Electoral Committees is to be screened and approved by Dean of Student Affairs Division (DSA). electronic voting via students’ portals. 4. The current Executives are to submit Handover Notes to include but not limited to, report on the finance of the Faculty/Department Associations to the Sub-Deans/Staff Advisers, as the case may be, latest one week before 2017/2018 second semester examination. 5. Handover notes and the financial reports of activities of Faculty/Department Associations duly endorsed by the Executives and the Sub-Deans/Staff Advisers should be forwarded to the Dean, Student Affairs Division (DSA) before the election date. Note that collection of certificate of service will be dependent on the submission of the Financial Report. ii) Candidates for election should possess good leadership qualities, with established past record of good behaviour. not be repeating the present class. 7. A candidate found guilty of misconduct by the University Management shall be disqualified from running for an elective post even after the election. 8. Any student discovered to have given wrong information will be disqualified and if elected, shall be removed to face disciplinary panel while the runner-up will be declared winner. of Lagos are not eligible for any position either as member of Electoral Committee or contestant/candidate for any position. Screening and approval through the Faculty Sub Dean/Staff Adviser. 11. Complaints arising from the election should be directed to the Dean, Student Affairs through SubDean/Staff Adviser. 12 Only Registered Students are eligible to vote and be voted for. Website not later than 24 hours before election. 14. Each voter shall be entitled to cast a vote for each office to be filled. 15. There shall be no voting by proxy. 16. No candidate shall hold two elective positions in the same academic year in the University. 17. The winner of the election shall be determined by simple majority of the votes cast. Where there is tie, a re-run shall be conducted within 48 hours. 18 The results of the election shall be duly endorsed by the DSA or his representatives, Director, CITS, DCSO, Staff Adviser, Chairmen of Electoral Committees. 22. No candidate shall be deemed to have been duly elected until any petition(s) pending for such an office had been finally disposed of. 23. The Sub-Deans/Staff Advisers have the responsibility of informing the Dean, Student Affairs Division of any defaulter of the Election Guidelines. 24. ANY ELECTION CONDUCTED WITHOUT THE REPRESENTATIVE OF THE DEAN OF STUDENT AFFAIRS DIVISION SHALL BE NULL AND VOID. UNILAG TIME-TABLE FOR RESCHEDULED 2018/2019 ELECTIONS INTO EXECUTIVE POSITIONS IN THE FACULTIES AND DEPARTMENTS. /8 /18 Online filling and submission of nomination forms. 1. The membership of the Faculty Electoral Committee should be a representative from each Department in the Faculty. 2. All registered students for the 2017/2018 session are eligible to vote and be voted for. than the University of Lagos are not eligible for any position either as members of electoral committee or contestant/candidate for any position. 5. Manifestoes for Faculty/Department elections to be held at the same time, a day before Election Day in each Faculty. 6. Election to start by 9.00am and close by 2.00pm. The results of the elections will be printed out at CITS in the presence of representatives of Faculties contestants, Security Unit, Director CITS, Dean, Student Affairs, Staff Advisers and Chairmen of Electoral Committees. Subsequently, same result will be posted on the University Website.